From Hendrix to Clapton, Mark Knopfler to Buddy Holly, the Fender Stratocaster has been the number 1 guitar of choice of thousands of great guitarists past and present. It's no wonder... This guitar is so versatile, and you'll probably notice that plenty of modern guitars (so called "super-strats") emulate so much of the original from the three pickup arrangement, to the recessed input jack and tremolo mechanism. Mexican made Strats are a step up from Squier branded instruments and a really affordable way to get into the Fender brand which is signified by high quality instruments that are a joy to play and sound like all the hundreds of records that probably influenced you to start playing the electric guitar in the first place! The HSS Strat (Humbucker Single Single) features a humbucker pickup in the bridge position offering lower noise and a little more output for those who play using overdriven sounds. 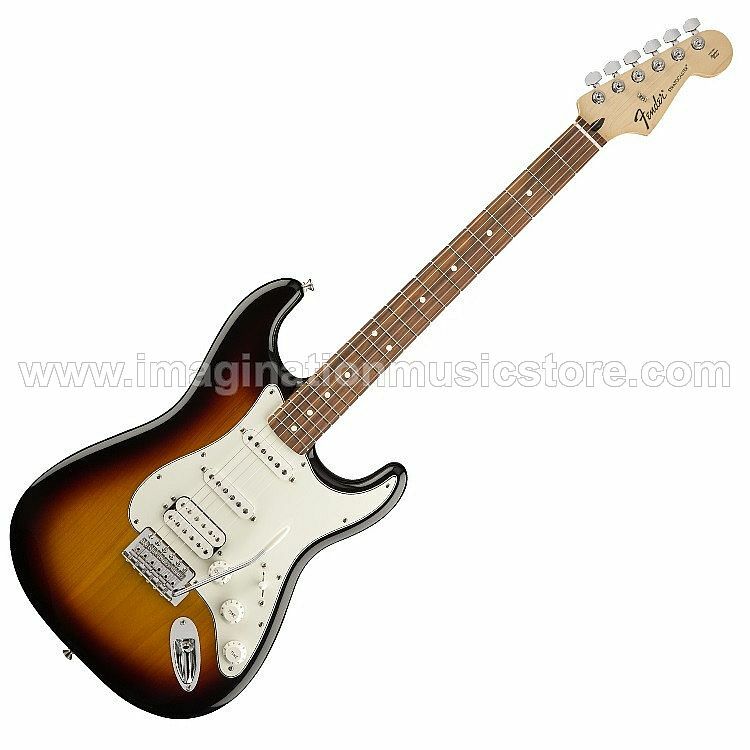 The Standard Stratocaster guitar offers legendary Fender tone with classic styling. Features include three single-coil pickups, synchronized tremolo with high-mass bridge block, tinted neck, shielded body cavities, medium jumbo frets, parchment pickguard and '70s-style headstock logo.